Russell Clark's Michigan City mug shot. Photo was taken in late 1920s. Russell Lee “Boobie” Clark may have been the funny man among fellow gang members, but he took his criminal profession seriously and wasn’t afraid of violence. A native of Vigo County, Indiana, Clark began his criminal career shortly after his dishonorable discharge from the U.S. Marines in 1919. Working with veteran armed robber Ralston “Blackie” Linton during the early 1920s, they committed numerous robberies. Linton is best remembered as the mastermind of one of the most daring bank robberies of the era. 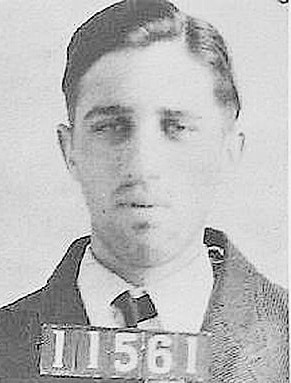 After Linton's imprisonment (see accompanying story attached to this page), Clark continued his criminal career and began working with several area hold-up veterans. 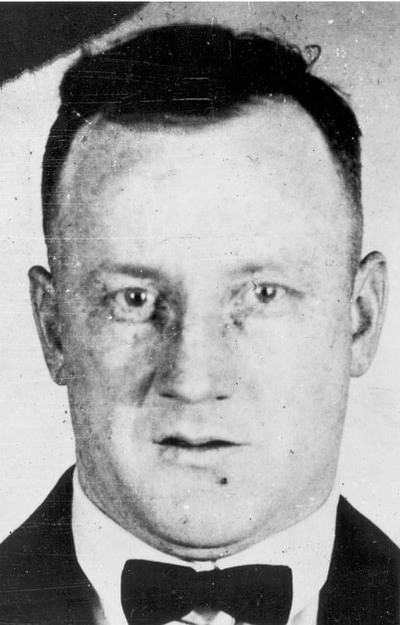 In 1926, Clark was a suspect in the kidnapping of two West Terra Haute bootleggers, and in the murder of Joe Popolardo in Danville, Ill.
That same year, both Jack Morrison and Clark confessed to robbing the Bellevue Club in Evansville, Ind., on Aug. 26. However, the owner, Charles “Cotton” Jones, refused to press charges and the case was dropped. The following year, Clark went on a crime spree with Frank Badgley and Charles Hovious and robbed several banks in northeast Indiana, including banks in Huntertown and Fort Wayne. Eventually arrested and charged, Clark was found guilty on Dec. 11, 1927, and was sentenced to 20 years at the Indiana State Prison in Michigan City where his bitterness and rebellious attitude led to numerous disciplinary problems with prison authorities. He made three unsuccessful escape attempts and was one of the ringleaders of an inmate strike in 1929. It was in Michigan City where he met several bank robbers that would later form The Terror Gang (also known as The First Dillinger Gang). It was also where he picked up the nickname “boobie,” an affectionate 1920s slang term for a jokester. 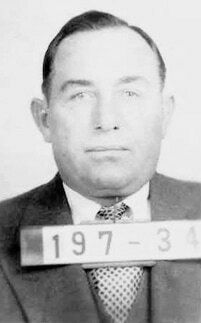 Among those he met and befriended were Harry "Pete" Pierpont, Charles "Fat Charlie" Makley, John "Red" Hamilton, Homer Van Meter and John Dillinger. From left, Dillinger, Pierpont, Hamilton, Makley and Van Meter.